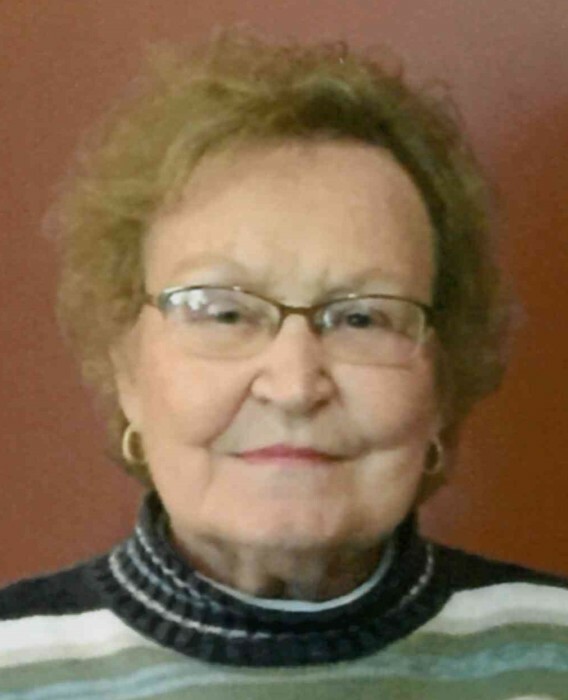 Maribel Conn, age 84, Albany, died Wednesday November 21, 2018 at IU Health Ball Memorial Hospital. Born at home near Dunkirk on June 19, 1934 she graduated from Albany High School with the class of 1952. She worked in the offices of McCormick Bros. (Albany) and Naze-Perry Insurance (Albany and Muncie). Maribel was actively involved at Albany United Methodist Church and was a 64-year member of Delta Theta Tau sorority. She enjoyed socializing, spending time with family & friends, and attending her grandchildren’s events. Survivors include her husband of 62 years, William “Bill” Conn, and their daughters: Lynn Liggett (husband: Steve), Albany, Laura Scott (husband: Mark), Shelbyville, and Leslie Davis (husband: Jeff), Albany; two brothers: Denney Hobson, Muncie, and James Hobson, Albany; eight grandchildren: Quinn Liggett, Becca Lindley (husband: Zach), Celeste Tetrault (husband: Lucas), Blayre Scott, Collin Scott, August Clevenger, Connor Davis, and Alex Davis; three great- grandchildren: Jacik, Chancery, and Colton; several nieces, nephews, and lifelong friends. She is preceded in death by her parents, Kenneth & Helen Hobson, a sister: Barbara Morgan, and a sister-in-law: Marge Hobson. Services will be 11 a.m. Monday, November 26, 2018 at Meacham Funeral Service with burial following at Black Cemetery. Visiting hours will be held on Sunday from 3 until 7 p.m. at the funeral home. Memorials may be sent to Cancer Services of East Central Indiana (Little Red Door), 2311 W. Jackson St., Muncie, IN 47303 or any charity of choice. The family would like to thank all of the doctors, nurses, and techs at Ball Memorial Hospital for their kindness and compassion.